The spongiosa of the maxillary incisors is exist only at their palatal surface and is constant with the spongy bone of the hard palate. Septae are made up of the alveolar bone as well as the core spongy bone. Interdental septum separates neighboring teeth and interradicular septum divide the roots of a multirooted tooth. 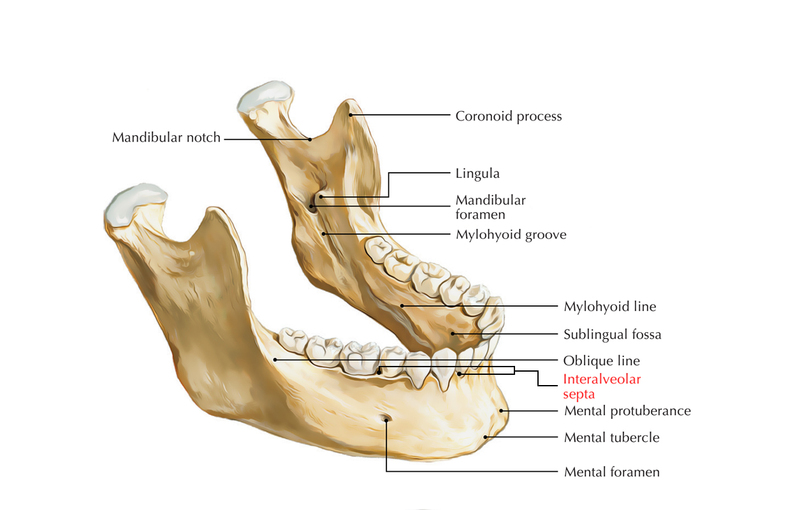 The roots of the tooth are surrounded by the alveolar bone proper, which is the actual tooth socket.